Know the location of all fire hydrants in your neighborhood. 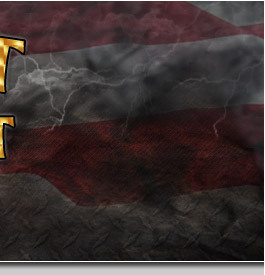 Make sure they are shoveled clear after each snowfall. 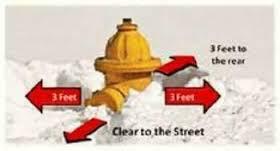 Clear away any snow and ice in the area surrounding these fire hydrants. Clear the snow three feet all around the hydrant so firefighters have enough room to connect a hose. 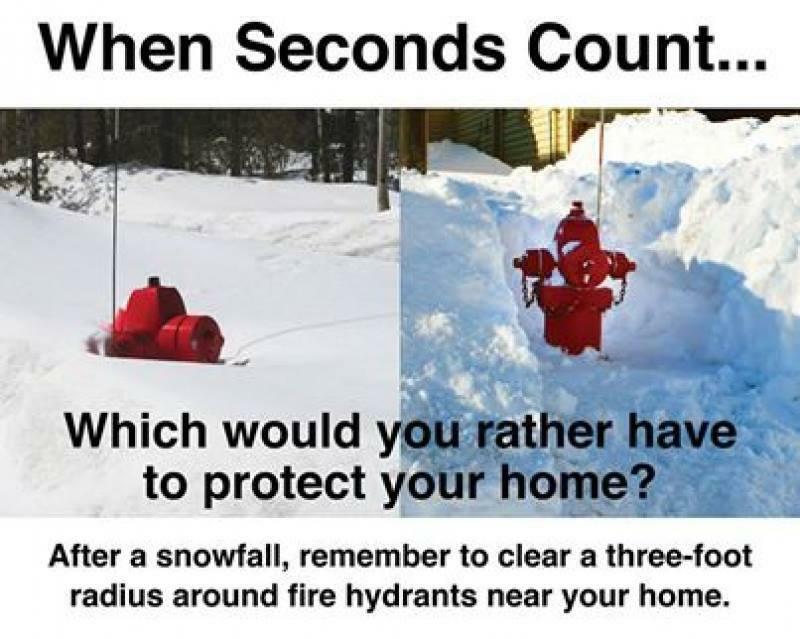 We would also like to remind you to look out for your elderly or handicap neighbors as well, by taking a few extra minutes to shovel out their hydrants. Please take some time now to save precious minutes in case of a fire. A few scoops of snow today could make all the difference later.